This item been discontinued. 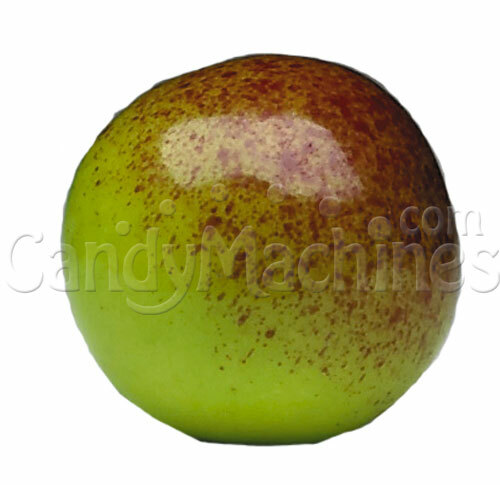 Please see our in stock Gourmet Flavored Gumballs here! 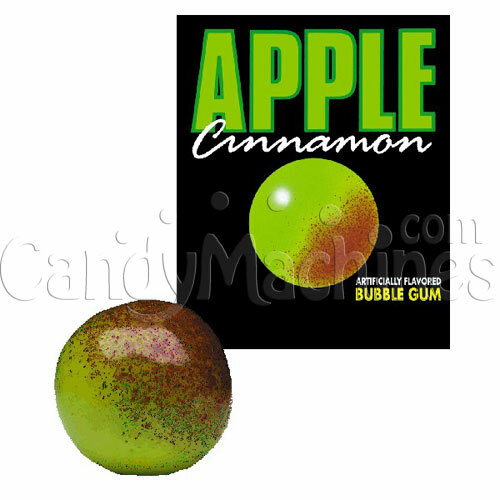 Extraordinary apple cinnamon bubble gum stamped with Dubble Bubble logo. 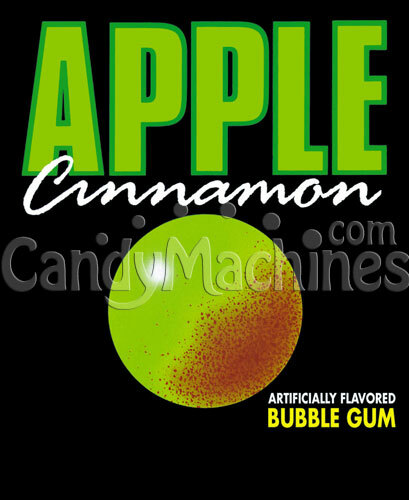 This tasty apple cinnamon chewing gum, which is made for 1 inch gum ball machines, is so delicious it will remind you of simpler times with home baked apple pies! The coating is composed of a light green base color and is sprayed lightly on one side in red for that cinnamon sprinkle sparkle. Need a machine to vend these great gumballs? Be sure to see our full line of gumball vending machines. 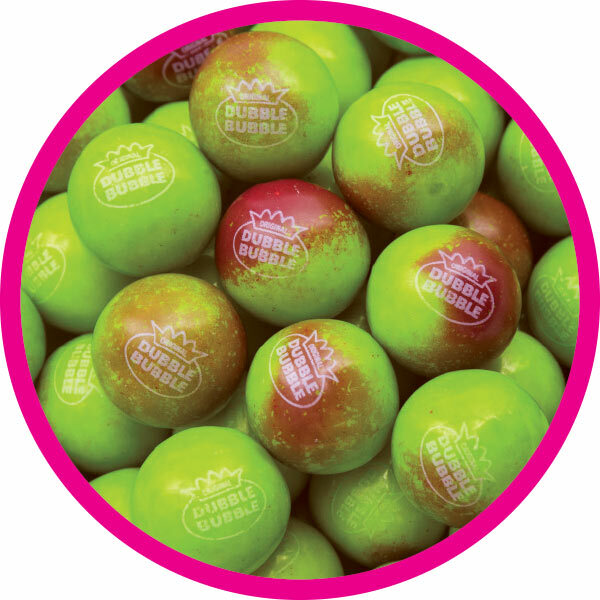 Each gumball is stamped with the Dubble Bubble logo. Made by Concord, these bulk vending gumballs are OU Kosher Certified. One inch gumballs typically vend for 25 cents in commercial vending machines that have a 1" gumball dispensing wheel /toy capsule wheel. Gumballs store best in a cool, dry, low humidity location. 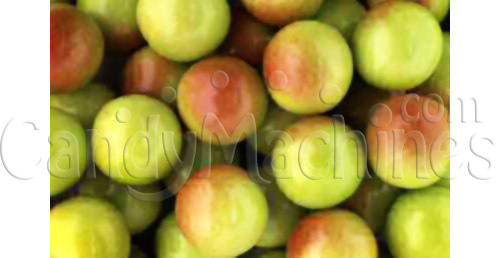 Their shelf life can be up to 18 months if not exposed to extreme hot or cold temperatures.